This article was written in 2009 and remains one of our most popular posts. If you’re keen to learn more about Apache, you may find this recent article on Apache Cloudstack of great interest. For more on workflows, watch our screencast What is npm and How Can I Use It?. Starting web development is easy: you create a file called something.html, edit it in Notepad, and load it in a browser. Simple sites can be built using this process but, to really explore the possibilities, you need a web server. Since the web server sits between your browser and the requested file, it can perform processing that is not possible by opening an HTML file directly. For example, it can parse PHP code which connects to a database and returns data. You can use your host’s web server for testing, but uploading will become tiresome and changes could go live before they had been fully tested. What you need is a local web server installation. In general, I would recommend using the web server software that your web host uses. Unless you are creating ASP.NET applications on Microsoft IIS, your host is likely to use Apache: the most widespread and fully-featured web server available. It is open-source project so it does not cost anything to download or install. The following instructions describe how to install Apache on Windows. Mac OSX comes with Apache and PHP, although you might need to enable them. Most Linux users will have Apache pre-installed or available in the base repositories. There are some excellent all-in-one Windows distributions that contain Apache, PHP, MySQL and other applications in a single installation file, e.g. XAMPP (including a Mac version), WampServer and Web.Developer. There is nothing wrong with using these packages, although manually installing Apache will help you learn more about the system and its configuration options. An excellent official .msi installation wizard is available from the Apache download page. This option is certainly recommended for novice users or perhaps those installing Apache for the first time. you can install Apache anywhere, such as a portable USB drive (useful for client demonstrations). If you have a Professional or Server version of Windows, you may already have IIS installed. If you would prefer Apache, either remove IIS as a Windows component or disable its services. Apache listens for requests on TCP/IP port 80. The default installation of Skype also listens on this port and will cause conflicts. To switch it off, start Skype and choose Tools > Options > Advanced > Connection. Ensure you untick “Use port 80 and 443 as alternatives for incoming connections”. You should also download and install the Windows C++ runtime from Microsoft.com. You may have this installed already, but there is no harm installing it again. As always, remember to virus scan all downloads. We will install Apache in C:Apache2, so extract the ZIP file to the root of the C: drive. Apache is configured with the text file confhttpd.conf contained in the Apache folder. Open it with your favourite text editor. Note that all file path settings use a ‘/’ forward-slash rather than the Windows backslash. If you installed Apache anywhere other than C:Apache2, now is a good time to search and replace all references to “c:/Apache2”. Correct any httpd.conf configuration errors and retest until none appear. Open the Control Panel, Administrative Tools, then Services and double-click Apache2.2. Set the Startup type to “Automatic” to ensure Apache starts every time you boot your PC. Alternatively, set the Startup type to “Manual” and launch Apache whenever you choose using the command “net start Apache2.2”. Ensure Apache has started successfully, open a web browser and enter the address http://localhost/. If all goes well, your test page should appear. In general, most problems will be caused by an incorrect setting in the httpd.conf configuration file. Refer to the Apache documentation if you require further information. 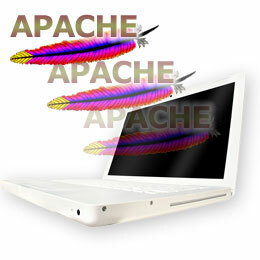 Have you installed Apache? Do you use an alternative web server?